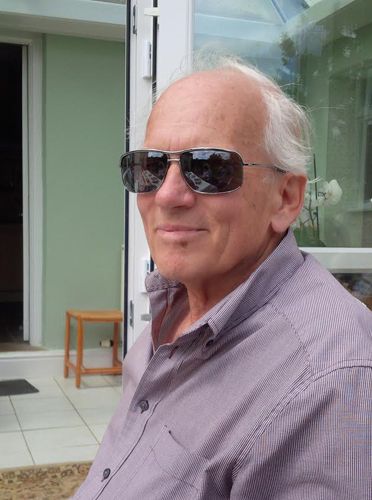 David Turner sadly passed away on 27th July 2015, following a very positive battle with bladder cancer and then acute myeloid leukaemia. David came from the Ford Motor Company in the late 1960s, joining the Department of Engineering at – what was then – the Oxford College of Technology. He was fortunate enough to play his part in the many positive changes that saw the college transition into Oxford Polytechnic (or the Poly, as he would call it) and, ultimately, into Oxford Brookes University. Fulfilling varying lectureship roles, David eventually took on the position of Head of Department for Mechanical Engineering, prior to retiring in 2003. Afterwards, David kept his connection with Brookes, visiting most recently in May 2015 when he was attending the 150th Anniversary celebrations. "I just received the sad news of the death of David Turner, and wanted to send my condolences to his family, but also to say a few words about his impact on my life. In 1998 I was employed as a vehicle mechanic and somehow managed to get an interview for a place on the BEng Automotive Engineering course at Oxford Brookes. David conducted the interview and, after a bit of discussion, offered me a place on the Foundation Year. His belief in me made an immeasurable difference to my life. I found, during the Foundation Year, that I had an aptitude for Mathematics and finished the year at the top of the class. David taught me in various modules then and during my subsequent Bachelor's degree, and I thoroughly enjoyed his teaching style and obvious knowledge as well as enthusiasm for the subject matter. I graduated in Automotive Engineering in July 2003 at the top of the class, receiving the IMechE Frederic Bernes-Waldron 'Best Student' award, and later returned to Oxford Brookes to undertake a research degree. I am, and will always be, incredibly grateful to David for recognising my potential during my initial interview. Without wanting to sound too dramatic, that initial interview at Oxford Brookes changed the direction of my life and opened up possibilities beyond my imagination. Thank you, David, for recognising a talent in me that I had no idea existed." If you would like to contribute further memories or photos of David, please send them to brookessociety@brookes.ac.uk.